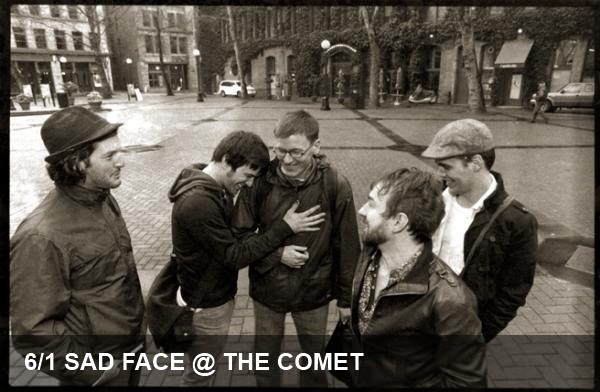 We don’t find ourselves recommending the Comet often on weeknights as our ears and tired souls have been burned one too many times by the less than stellar acoustics and delayed shows respectively. That being said, Neumos little neighbor certainly brings in some good local acts from time to time. Tonight, is one of those times. With songs that wouldn’t sound out of place in a playlist with Brand New’s Deja Entendu, Seattle’s own Sad Face plays the types of depressingly honest songs with not-so-subtle irate undertones. Bring your earplugs and set your alarm for snooze as this it’s going to be quite a night.